Demand for new cars remained steady in February, the latest figures from the Society of Motor Manufacturers & Traders (SMMT) show. Registrations dipped just –0.3% in what is traditionally one of the quietest months for the car industry. 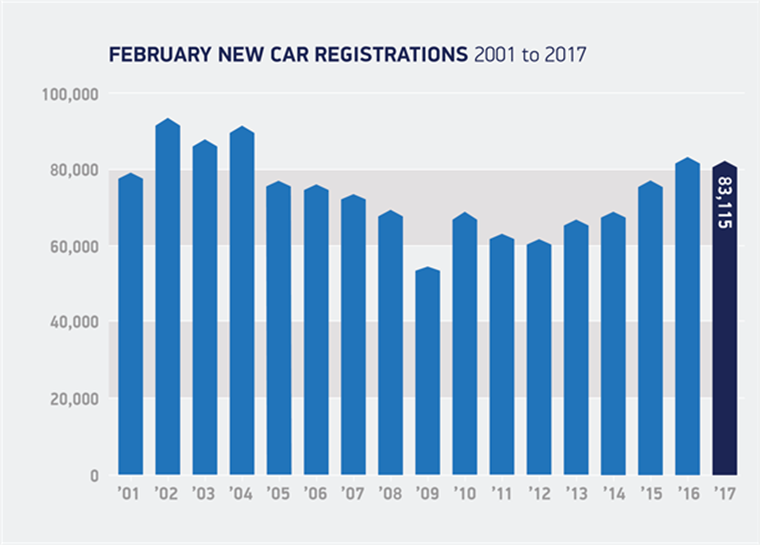 83,115 new vehicles were registered last month – impressive, considering many people usually hold off until the arrival of a shiny new number plate in March. This means that year-to-date registration numbers are up 1.8%, to 257,679 registrations. It was once again the fleet industry (which includes personal contract hire) that drove the market, up 3.3% year-on-year accounting for 45,699 registrations. Private demand on the other hand, fell by -4.4% to 36,018 units, while business registrations declined too. The popularity of alternatively fuelled vehicles (AFVs) continues to grow, with a record 3,308 hitting the road in February. That represents a huge 48.9% jump compared to the same period last year, with AFVs now accounting for 4% of the new car market. Is the downfall of diesel beginning? 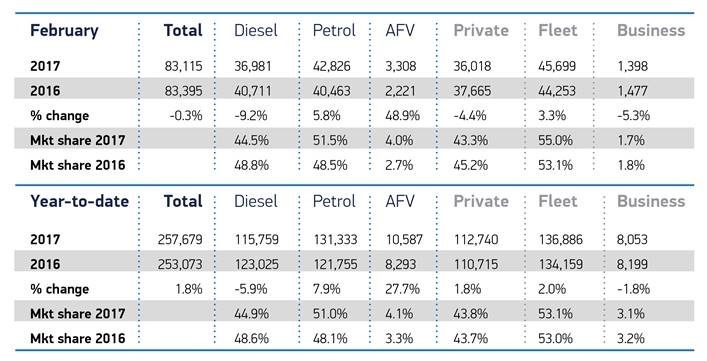 This is of course the result of major investments by manufacturers into cutting edge, but we can’t help but think that the –9.2% year-on-year slump in diesel registrations has more to do with it, and is likely fuelled by its bad press in recent months. 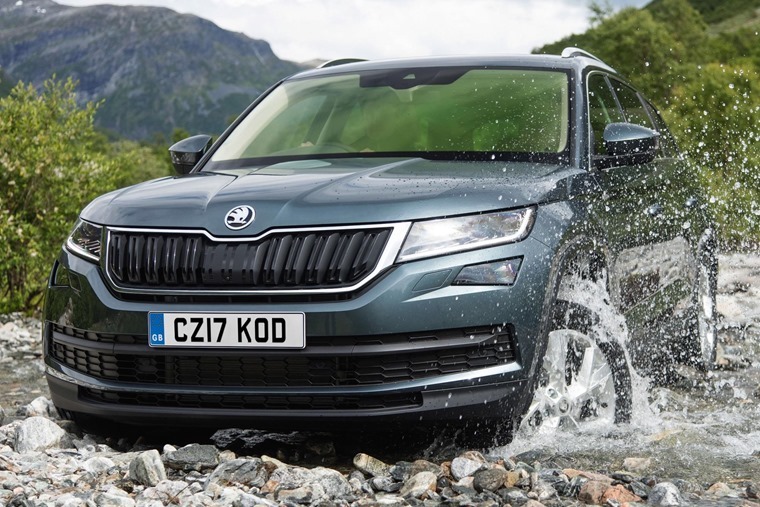 Despite the new car market shrinking by –0.3% in February, March’s outlook is significantly better, partly thanks to the issue of the 17 plate, and partly because of a rush before VED rates change in April. There’s no surprises when it comes to the most popular cars of the year so far, with all the usual suspects accounted for in the top ten. 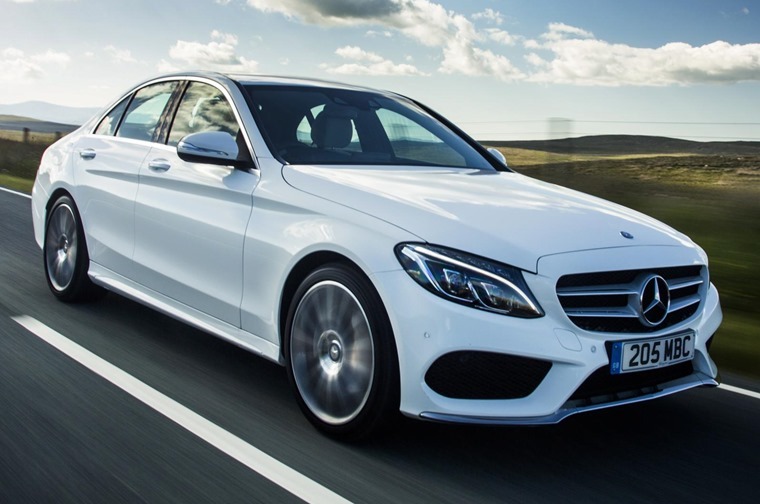 Interestingly, the Mercedes C-Class has climbed its way into fifth position.